We’ve listed Ambrosia as one of our favorites in the past and love its super sweet flavor so much that we had to list it again. The 5 pound fruits have thick, juicy, firm, salmon-colored flesh and are produced on downy mildew tolerant vigorous vines. 86 days. 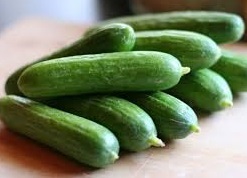 For the best flavor in a cucumber try All-season Burpless! The 8 ½” by 1 ½” fruit are 10 days earlier than most other varieties and are non-bitter with a small seed cavity. 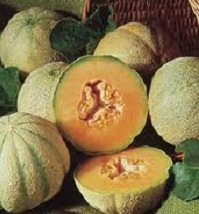 Usually seedless when not pollinated, they may produce a few under-developed seeds if pollinated. 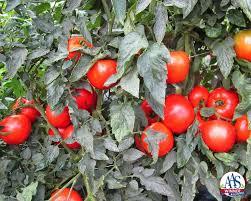 The plants are highly resistant to most diseases, which results in high productivity all season as the name indicates. 50 Days. 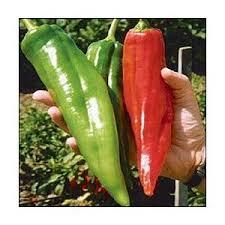 This variety is the largest of all the chilis producing heavy yields of 10 to 12 inch fruit. They are medium-hot and can be used fresh, roasted or dried. The plants reach 30 inches tall and produce 24 to 30 pods that mature at about the same time. 77 days. Pageant is a hybrid sweet banana pepper variety that is earlier, more productive and more adaptable to a variety of conditions. 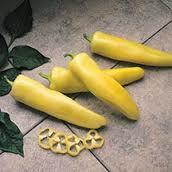 The 30 inch plants produce 8 inch smooth, very sweet tapered fruit that mature from light yellow to bright red. 65 days. 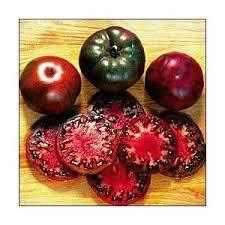 Black Krim tomato is a Russian heirloom variety producing heavy yields of 10-12 oz. violet, brown and purple-red, rich sweet fruit. 80 days. This cherry variety is the ultimate for containers and hanging baskets. Litt’l Bites cascading vines produce nonstop, sweet, bite size morsels on plants that are 12 inches tall by 20 inches wide. Mountain Merit is our pick this year for those wanting excellent disease resistance. It is an AAS Winner for being “a nice all-around tomato, perfect for slicing and sandwiches” with the added benefit of high resistance to tomato spotted wilt virus and late blight and intermediate resistance to early blight. Flavorful deep red 10 to 12 oz. crack resistant fruit are produced on determinate plants. VFFFNTswvEbLb. 75 days. Sun Sugar is back on our list of favorite vegetables! 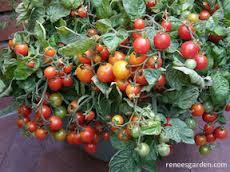 This indeterminate cherry variety produces abundant candy-sweet orange cherry tomatoes with high levels of sugar and vitamin A. The 1 to 2 inch fruit is thin-skinned and crack-resistant with flavor that can’t be beat! 62 days.